Thousands of local actors, including around 100 local elected leaders from all regions of the world came together at the Global Climate Action Summit in San Francisco, United States, from 12 to 14 September to recognize the important contributions that cities and sub-national states are making to solve the global climate change crisis, together with the business community. Local governments around the world are already taking ambitious action to make the Paris Agreement a reality. By 2030, we know that nearly every home built, every power plant brought online will need to be powered by clean energy. The Global Climate Action Summit was the opportunity to demonstrate to the world that cities and regions are at the forefront of working towards a climate safe, healthy, prosperous world for all. The intensified role played by international networks of cities has proven to be very effective to increase the impact at local level, demonstrate the potential of actions taken by local elected leaders, and report on climate action at global level. 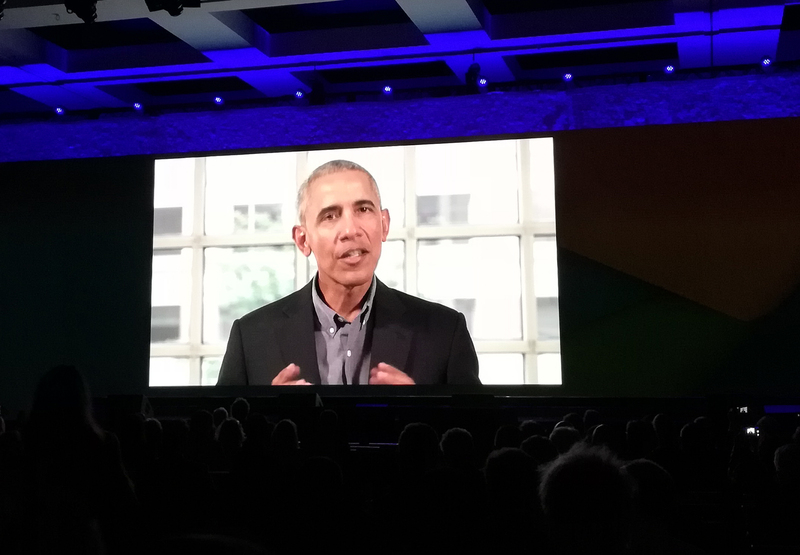 In a video message, former US President Barack Obama addressed the audience: "Mayors are leading the way. Continue spread action!" Throughout the Summit, UCLG together with its members and partners of the Global Taskforce, C40, the Global Covenant of Mayors and ICLEI, have continuously shown the greater impact that policies taken at city level are creating, particularly in infrastructure, transport, waste reduction and decarbonized economy. The local and regional governments delegation was strongly represented and held the local flag high in the fight against climate change. “Access to international financial depends too much on national context. We have to go further in redesigning the international financial architecture. Private sector needs to understand that investing in climate is also profitable”. The One Planet Charter is a broad umbrella, which aims to capture all quantified, clear and measurable targets, commitments and ambitions that a city has reported. That corresponds to one of the five pillars of the One Planet Charter, which are urban mobility, renewable energy, low carbon building, solid waste and resilience. Many local governments are already taking action in these sectors – and these targets have been reported through our partner reporting platforms, particularly through the Global Covenant of Mayors. In the coming months, UCLG will continue defend and bolster climate action with its sister network organisations towards the COP24 to be held in Katowice, Poland and within the Local Governments Roadmap.